Telus flanker brand Koodo has quietly made changes to some of its rate plan prices. 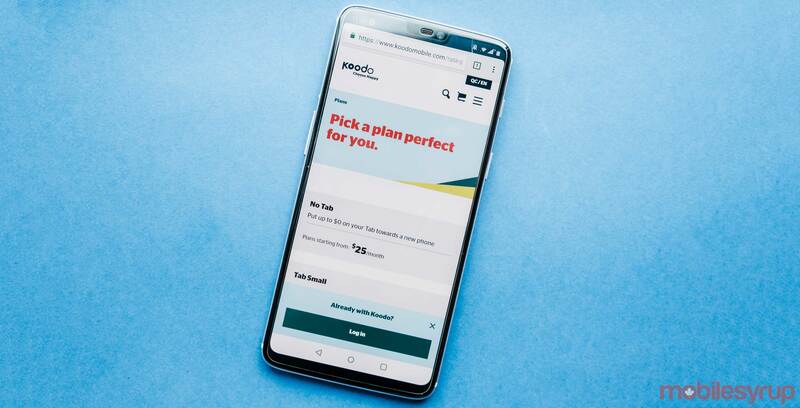 Individuals browsing Koodo’s website will notice that the base cost of the carrier’s Tab Large, Tab Extra Large and Tab Extra Extra Large plans have all increased by $6 CAD. Customers will now pay $85 CAD instead of $79 CAD. Koodo also dropped the price of its bring-your-own-device (BYOD) plan by $5 CAD. Customers will now pay $30 CAD, instead of $35 CAD. Rate changes have not affected the carrier’s Tab Medium plans. Below is an image of Koodo’s rates back in March 2018. Koodo previously increased plan prices by $5 CAD for its bring-your-own-device (BYOD) plan, as well as the base costs of Tab Small and Tab Large plans. MobileSyrup has reached out to Telus for comment and will update the article with more detail.